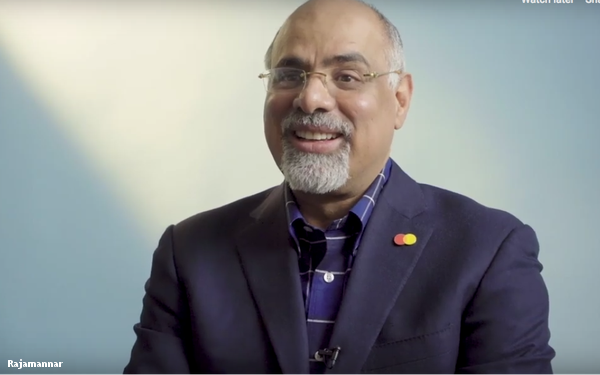 Raja Rajamannar, chief marketing and communications officer of Mastercard, was named the World Federation of Advertisers’ Global Marketer of the Year 2018. The award honors “the role that global and regional marketers play in changing their businesses, the industry and society for the better,” according to the WFA. Key to Rajamannar’s victory was Mastercard’s extension of its iconic “Priceless” campaign in 2018 to “Start Something Priceless,” urging people “to pursue a passion or purpose, effect change, and lift one another up,” according to the company. Rajamannar won following a combined vote by an expert jury and the industry at large, with each accounting for 50% of the final score. This is the second year that the WFA has awarded its Global Marketer of the Year honor. Global Marketer of the Year 2017 went to Unilever’s Keith Weed, chief marketing and communications officer. The WFA, a global network for client-side marketers, represents about 100 of the world’s biggest brand owners and 60 national advertiser associations on six continents.